Hurlburt Youth Center at Hurlburt Field, Florida is the first Certified Nature Explore Classroom in the state of Florida and the first at an Air Force Base. Catherine Goss, program director states, “Once engaged outside, you can’t get the children to come back inside—it’s like they have found something”. They truly have found a special place at this center. 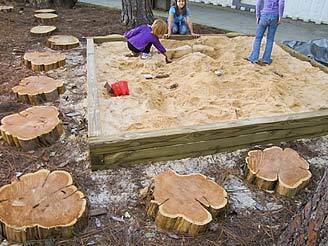 The visual layout is clearly defined so that children can mentally organize their play and discovery time. Each area flows into the next in a natural and purposeful manner that provides children with uninterrupted play and a sense of ownership. Hurlburt Youth Center used the principle of clearly delineating the areas for different kinds of activities by planning and adapting the area to the children’s needs. Large equipment is centered in the middle of the design and smaller areas surround. Using detailed observations, staff monitored children’s exploration and use of the environment. Quiet areas, where children wanted to read or participate in passive activities were bordered with aromatic and colorful plants. Different textures such as grass and mulch were used so that children understood where one area ended and the other began. 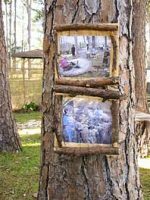 Natural wood signs were strategically placed in each area with laminated pictures of children’s experiences and creativity. Storage areas use visual clues to help children understand where items are to be put away. Keywords are used to explain pictures and add a link to literacy. A variety of native plants were chosen that provide a sense of beauty with different textures and interest. Natural mulch, driftwood and tree limbs in addition to large stumps were brought in to provide climbing apparatus and a natural looking classroom. In the garden area, dead heads of flowers are collected so that the seeds can be used next year. Each area was designed for low-maintenance while still encompassing the children’s needs. Children, staff, and families stay involved in the classroom and help with general maintenance and upkeep. 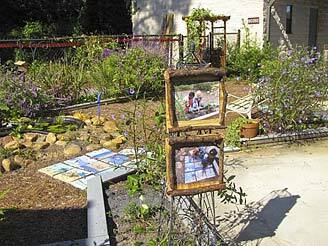 Natural colors and textures were added to each area by use of trees, shrubs, flowers and other plants. A fabric canopy adds color to the stage area. Wildlife, including butterflies and hummingbirds, are attracted to the areas in great numbers. Children helped to construct the pathways using natural stone and vegetation. Local shrubs, trees and wood were used to add a localized and regional effect. Families and many other volunteers were key to the success of this program. 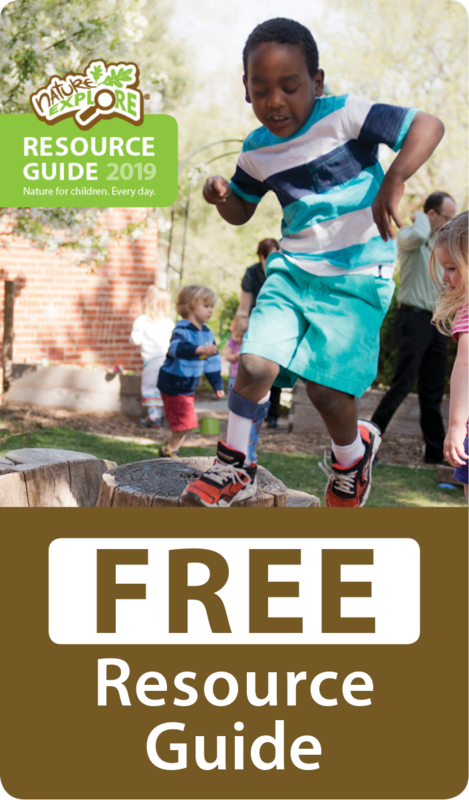 A special event was held on the “Worldwide Day of Play” including an ice cream social which allowed people to meet, socialize and enjoy the new Nature Explore Classroom. Nature education comes from a wide variety of clubs and also by using parents as volunteers who educate their children using hands-on activities. The youth center curriculum, rich in nature and science, will have an amazing impact on these children their entire lives.